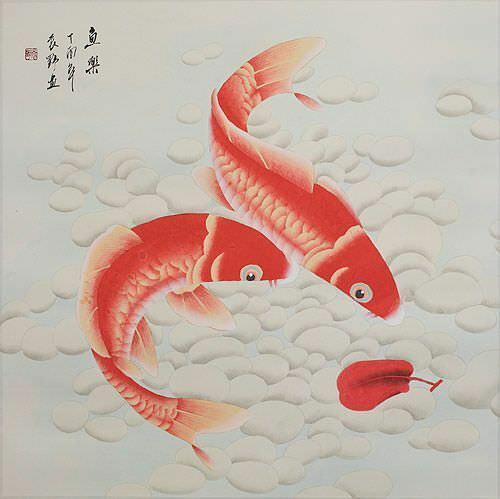 Artwork Panel: 49.1cm x 68.1cm ≈ 19¼" x 26¾"
Silk/Brocade: 58.3cm x 125cm ≈ 23" x 49¼"
Width at Wooden Knobs: 67.3cm ≈ 26½"
The Chinese Title is "Er Long Xi Shui". 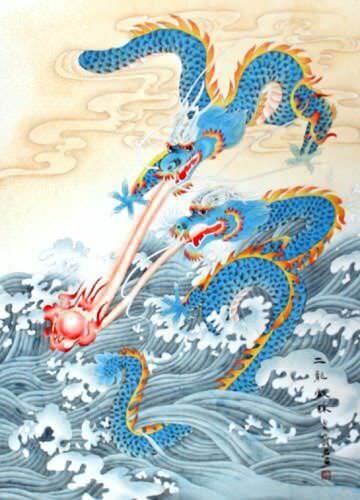 This artwork features two blue dragons in control of a lightning pearl. This artist's name is Li Yu-Jun from near Jinan City in the Shandong Province of Northern China. She was born in 1963 and started painting at an early age. Taking inspiration from famous artists of China in the beginning, she honed her skills and developed her own style over the years. While she has dabbled in many subjects, her specialties are dragons as well as birds & flowers. It was only by chance that I found her. I was seeking some new styles of dragons finding out just how hard it is to find good dragon artists. I happened to mention my dragon art frustrations to the manager of the gallery in Jinan that handles Yin Yi-Qiu's artwork (my favorite tiger artist). She immediately knew the perfect artist for what I was seeking. We arranged all the details for what I was looking for, and a month later several wonderful paintings were ready for mounting. 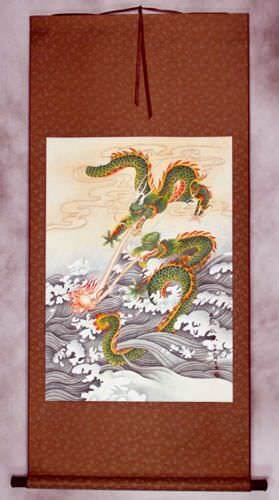 This dragon painting was done on high-quality xuan paper (often called rice paper). 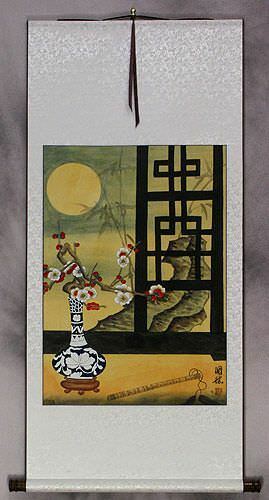 To get the deep and vibrant colors that you see, the artist had to paint in multiple layers (only the best xuan paper can be used for this technique - otherwise the colors would become muddy). It takes a long time to complete one of these paintings with all of the painstaking detail. 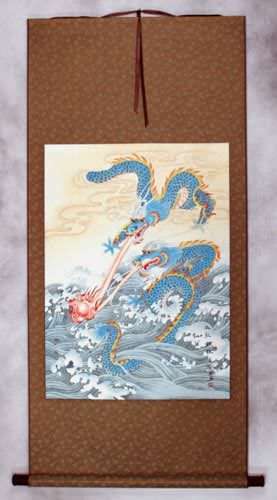 When finished, and delivered to our studio in Beijing, it was mounted by hand to the silk scroll that you see above.